Some years ago, a Swedish researcher (a grad student at the time), P. Granqvist, did an experiment with the God Helmet. Incorrectly set up, it yielded no results. They scrambled the magnetic signals, so that they couldn’t do their job, and then claimed that results that Persinger (the leading researcher in this area) obtained were due to suggestibility. In fact, suggestibility had been ruled out much earlier, when it was learned that different signals had different effects. Suggestibility alone would mean they would all have been the same. The God Helmet had one group of effects when it was used over the left side of the brain, and very different effects when it was used over the right. The same experimental protocols were used throughout. Persinger also reported success with depression in two preliminary studies (one two), which included six-week follow-up; a result that also rules out suggestion. In addition, Persinger’s studies used a minimum of 20 minute applications of the magnetic signals. Granqvist used exposures half as long. It wouldn’t have mattered in any case, because the signals were being run too fast to hold their shape. Critics remain silent about that. Granqvist also claimed that Persinger’s low-power magnetic fields could not penetrate the skull, a foolish claim that ignores the laws of physics (there is no such thing as a magnetic insulation). Many researchers, unconnected to Persinger have independently proven that faint magnetic fields have measurable effects on the brain. Recently, some over-zealous skeptics have been touting the study by the Swedish group as the final word on the subject, ignoring Dr. Persinger’s published responses to the flawed study. The Swedish researcher is a psychologist who believes that religion is a projection of our attachment to our parents, while Persinger believes that religion is an intrinsic feature of our species, though not everyone is equally prone to it. 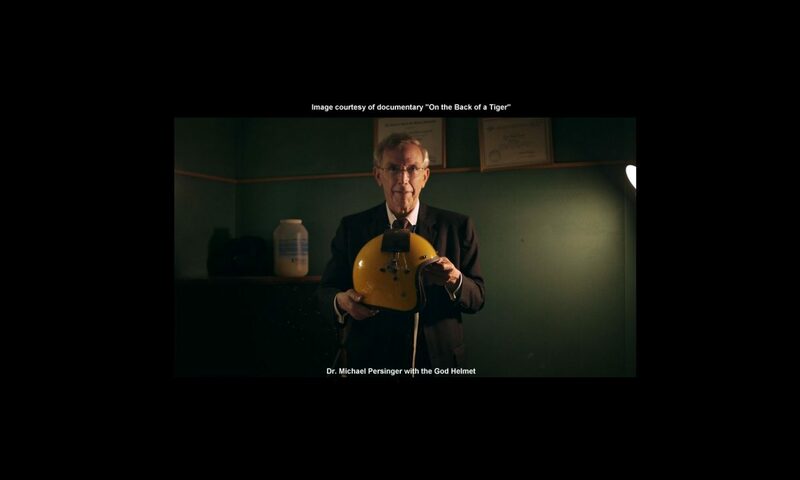 Granqvist’s specialty is the psychology of religious behavior, not neurology, which made him less than qualified to set up the God Helmet correctly, especially without asking Persinger to help. Granqvist came to Persinger asking for equipment to see its effects through PET scanning, and Persinger instructed him accordingly. As it happens, Granqvist never even attempted to do PET scans, but instead jumped ahead of his experience to try to create the ‘sensed presence’ experience, which called for longer sessions than verification with PET would need. He failed, and blamed his results on Persinger. He even falsely claimed that Persinger never used double-blind protocols. Here’s a link that summarizes Persinger’s response. Previous PostPrevious The God Helmet: Weak Magnetic Fields are strong enough. Next PostNext New Book Sacred Pathways: The Brain’s Role In Religious and Mystic Experiences. Foreword by the Dalai Lama.